Hanauma Bay Nature Preserve on Oahu’s south-eastern tip is renown for its abundance of tropical fish and clear snorkeling. 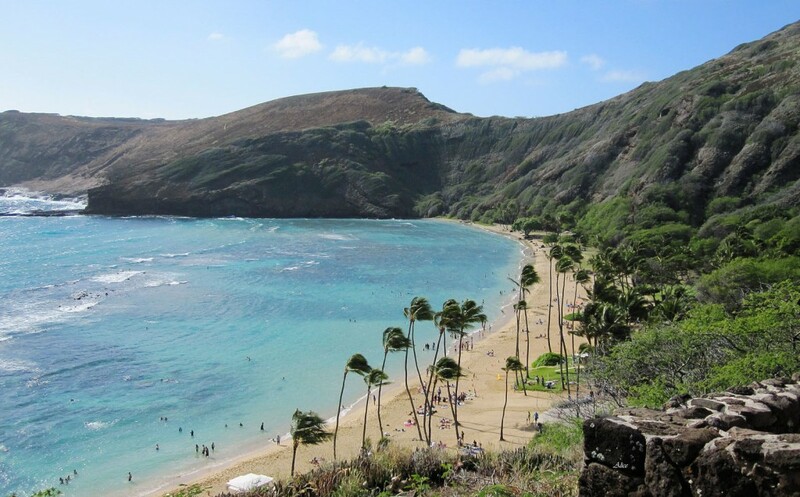 In fact, Hanauma Bay was the first Marine Life Conservation District in Hawaii. MLCD’s protect Hawaii’s fragile ecosystems and help restore them to their former beauty. Access is still available to enter the ocean here, and you’ll be rewarded by schools of Hawaiian fish swimming as close as they can get. Avid photo-takers who enjoyed their time on Ohau.